Requesting your participation in The Wall of Inspiration Project. To save money on postage we are using the internet a little more, but if you would like us to mail you a hard copy of our request we would be more than happy to do that. E Mail us your address. The Neel Parent Advisory Services Inc.
My name is Sharon Davis, the Executive Director and founder of The Goodwill V.I.N.T.A Youth Ambassadors and The Neel Parent Advisory Services Inc. I’m also a former Board Member of the California State Council of Developmental Disabilities Area Board XII (serving Inyo, Mono, Riverside and San Bernardino counties). The Advisory Group has helped The Goodwill V.I.N.T.A Ambassadors with implementing some amazing art, social, community service and educational projects over the past twelve years done by both youths and young adults with and without disabilities to accomplish together. Giving them the opportunity to recognize and appreciate each other's artistic talents and abilities. 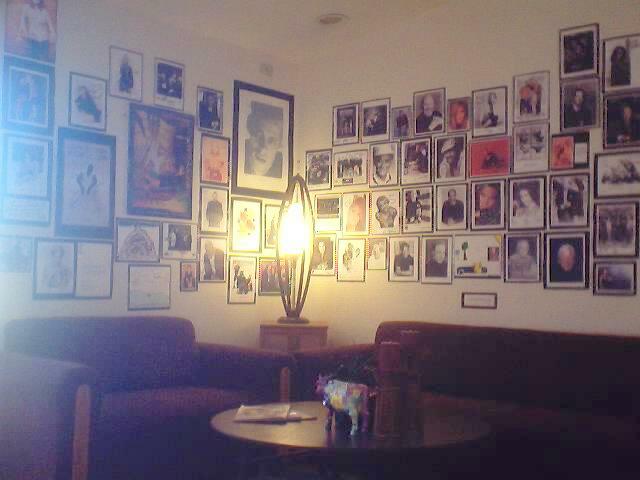 We would be honored to have you to be a part of The Wall of Inspiration Project. All you have to do is send us one photo with a short handwritten message of inspiration, hope or encouragement to the Goodwill V.I.N.T.A Ambassadors, don't forget to sign and date it. To show our appreciation for your time and participation a 4"x 8" inch engraved brick paver with your name on it will be inducted into The STARWALK PROJECT. Your bricks will be permanently displayed in the walkway throughout the property, seven garden vignettes, and twenty inspirational messages selected by the Ambassador’s. The STARWALK PROJECT will be the world largest collection of engraved brick pavers of celebrities and notable individuals from around the world. Remember, Your message can, "Make A Big Difference" In the life of a young person. We have been honored with the participation of: Drew Barrymore, Former Prime Minister Tony Blair, Former President Bush Sr., President Chen (President of the Republic of China -Taiwan), Former President Clinton, Sean Combs, Anderson Cooper, Walter Cronkite, Gloria Estefan, Morgan Freeman, Melissa Gilbert, Whoopi Goldberg, Tony Hawk, Merv Griffin, Nelson Mandela, Wynton Marsalis, Prince Albert of Monaco, Nancy O’Dell, California former Governor Arnold Schwarzenegger, Ben Stiller, John Travolta, Donald Trump and Henry Winkler, just to name a few. We hope you will honor us with our request, may we thank you for your time and any consideration.